In order to get as many names as possible on the ballot, we’re going to run a list of 25 players out for each round, with combined 2018 stats to help you out in your decision-making process. By starting this fan vote series and the list of Top 100 Prospects simultaneously, by the time the SSS staff list has counted up from 100 to 50, this SSS poll vote will have counted down from 1 to 50. We’ll meet in the middle, with the SSS poll vote factoring in the order of our final 50 prospects. Here’s how last year’s prospect vote wrangled out — all 42 picks. Also, here’s an archive of every article in the 2018 series. A final note: All copy below the poll, unless otherwise noted, comes from wsm’s Deep Dive series. Credit due. YOTH is just running the numbers. Sound cool? Now, get voting! Blake Rutherford was in quite a fight with Luis Basabe, but prevailed with 31.1% (109 of 323 votes). A year ago, Adolfo finished ninth in our poll, so Micker Adolfo leapfrogged him in 2019.
Who is the ninth-best prospect in the White Sox system? Adams, a native of Cleveland, Ga., was the 15th-ranked prep prospect eligible for the 2014 MLB draft according to PerfectGame. It didn’t hurt that he posted a 0.72 ERA, .129 OBA, 13.89 K/9 for White County H.S. while possessing a 92-96 mph fastball, hard slider, and improving changeup. When he fell to the White Sox in the second round as the 44th overall pick, the White Sox happily selected him, in large part due to his high upside. Adams bypassed his verbal commitment with Georgia for a nearly $1.3 million bonus. He pitched for the AZL Sox that year, and posted an incredible 14.75 K/BB ratio. From 2015-17, Adams moved up the system from Kannapolis to Birmingham, consistently allowing a .275-.281 OBA with few strikeouts, but limiting damage due to his exceptional control. Adams returned to Birmingham to begin 2018, but surprisingly struggled with a 4.59 ERA and 1.46 WHIP over 68 2⁄3 innings — allowing 80 hits (.290 OBA) and 20 walks (2.62 BB/9) while striking out 53 hitters (6.95 K/9). After finally kicking it in gear in late May and early June, ceding just one run in his last 13 innings, Adams finally earned a long-awaited promotion to Charlotte. Adams had a strange end to his season with the Knights. In 15 starts totaling 90 1⁄3 innings against AAA competition, he actually posted a credible 3.19 ERA and 1.33 WHIP. What’s particularly interesting is that he limited International League hitters to just 82 hits (a career-best .248 OBA) but walked 38 hitters (a career-worst 3.79 BB/9) compared to just 42 strikeouts (a career-worst 4.18 K.9). He also allowed more fly balls than grounders, usually a recipe for disaster for a control pitcher. With more innings under his belt, Adams’ four-seam fastball peaks around 94 mph, while his two-seamer runs 88-92; he still features a slider, which is more set-up than put-away pitch. His changeup simply hasn’t improved as originally hoped — against lefties this year, he posted a .297 OBA and 1.73 WHIP; versus righties, he posted a .238 OBA and 1.07 WHIP. Adams is still quite young, and hope remains that he can be something more than a long reliever. However, his inability to miss bats is a concern. His two biggest issues are putting hitters away and limiting damage against lefties. Adams ranks 26th among White Sox prospects according to MLB Pipeline, but that ranking has fallen due to such concerns. Adams should compete for a back-end role in the rotation with Dylan Covey, Manny Bañuelos, Jordan Stephens and Jordan Guerrero. As a prospect from Venezuela, he and brother Luis Alejandro Basabe received identical $450,000 signing bonuses from the Boston Red Sox on Aug, 26, 2012, when they turned 16. From 2013-16, “our” Basabe advanced as high as Salem, the High-A affiliate of the Red Sox. On Dec. 6, 2016, he was traded to the White Sox along with Yoan Moncada, Michael Kopech and Victor Diaz for southpaw ace Chris Sale. The 2017 season with Winston-Salem was a disappointment for Basabe, marred by injuries that he decided to play through. His poor results should be taken with a grain of salt, partly due to the injuries, but also because he was much younger (2.6 years) than the average player in the league. Overall, Basabe slashed .221/.320/.320 in 435 at-bats, with five homers, 36 RBIs, 17 stolen bases, 49 walks (11.26%) and 104 strikeouts (23.91%). As a result of those struggles, Basabe returned to the Dash in 2018 and displayed much better results. In 2018 for Winston-Salem, Basabe slashed .266/.370/.502 with 12 doubles, five triples, nine homers, seven stolen bases, 30 RBIs, 34 walks (13.88%) and 64 strikeouts (26.12%) in 207 at-bats prior to his June 21 promotion to Birmingham. For the Barons, in a much tougher hitting environment, Basabe slashed .251/.340/.394 with nine doubles, three triples, six homers, nine stolen bases, 26 RBIs, 30 walks (11.11%) and 76 strikeouts (28.15%). Other than strikeouts, Basabe actually had a really solid year. He is now the seventh-ranked White Sox prospect according to MLB Pipeline. Basabe seems to just be scratching the surface of his raw talent. He’s got above-average power and exceptional arm strength, especially for someone with such a slight build. In fact, aside for perhaps Micker Adolfo, Basabe may have the best outfield combination of power and arm strength in the organization. Throw in speed, his defense (just 14 combined errors in six minor league seasons), and his power, the potential for superstardom is there if he can fully tap into it. Basabe is just 22, so there’s every reason to believe he can do so — especially if he can reduce his strikeouts. If he were able to reduce his whiffs by one every five games he played this year while maintaining his BABIP of .343, Basabe’s cumulative average would have risen from .258 to .276. A strong spring training may have Basabe begin next season with Charlotte; otherwise, he’ll head back to Birmingham instead. Burdi, a native of suburban Downers Grove, enjoyed a solid three-year run pitching exclusively in Louisville’s bullpen. He saved 11 games in his junior season, with a solid 3.30 ERA and 0.87 WHIP for the Cardinals over 27 games; in his 30 innings, he allowed just 17 hits and nine walks while striking out 47. The White Sox opted to take a chance on this high-ceiling reliever by selecting him in 2016’s first round (26th pick), which was actually a compensation pick the White Sox received when the San Francisco Giants signed pitcher Jeff Samardzija via free agency. After receiving a signing bonus of $2,128,500, Burdi scaled nearly every rung of the White Sox system in 2016 by pitching for the AZL Sox, Winston-Salem, Birmingham and Charlotte. In a combined 38 innings over 26 innings, he posted a terrific 3.32 ERA and 1.13 WHIP by allowing 23 hits (.174 OBA) and 20 walks (13.0%), striking out an incredible 51 batters (33.1%). Burdi returned to Charlotte in 2017, but struggled to a 4.05 ERA and 1.41 WHIP in 33 1⁄3 innings, surrendering 30 hits (.231 OBA) and 17 walks (11.3%) while striking out 51 (33.8%). Perhaps the reason for his struggles was revealed in July, as Burdi succumbed to Tommy John surgery. Burdi returned to the AZL Sox in 2018 for a rehab assignment that went reasonably well, all things considered. In 6 1⁄3 innings (seven games) for the AZL Sox, he compiled a 2.84 ERA and 1.42 WHIP and allowed five hits (.217 OBA) and four walks (14.8%) along with seven strikeouts (25.9%). He also pitched five games in the Arizona Fall League, allowing two hits and one walk while striking out five innings. He left Glendale early due to fatigue, and reports had Burdi still struggling to regain his velocity, but he was otherwise healthy. Burdi currently ranks 17th among White Sox prospects according to MLB Pipeline. Before Burdi got hurt, he routinely ran it up at 95-100 mph and touched 102 with his fastball (that fastball has played at the lower end of that spectrum since his rehab began). Burdi’s slider reached the low 90s with good depth, and it’s a legitimate plus pitch that earns double-plus grades at its best. He hasn’t used it as much in pro ball, but Burdi also has a tumbling changeup that can make hitters look silly when they’re sitting on his fastball. Still seen as a potential closer, not only will Burdi need to regain some of that lost velocity — he’ll also need to to get more consistent with his control and command, as a 12.3 BB% usually doesn’t cut it in the majors. He should begin next season with Charlotte, and earn an opportunity on the White Sox roster before the season’s out. Burger enjoyed a terrific collegiate career with Missouri State, having nearly identical sophomore and junior seasons with the Bears. In those final two seasons, he combined to hit .338/.433/.668, with 26 doubles, 43 homers, 66 walks and 73 strikeouts over 482 at-bats. With those results, and with the need for power-hitting third basemen in the organization, the White Sox selected him in the first round (11th overall) in the 2017 MLB Draft. In his first professional season in 2017, he combined with the AZL White Sox and Kannapolis to hit .263/.336/.412, with five homers, 29 RBIs, 14 walks (6.5%) and 30 strikeouts (13.8%) in 194 at-bats. While not great numbers, they weren’t horrible when considering he may have been deeply fatigued after an extremely long season. One thing Burger had difficulty with while in the White Sox organization in 2017 was his launch angle: He hit three ground balls for every two he hit in the air. Saying Burger had a difficult 2018 is putting it mildly. He tore his left Achilles tendon in a late February game in Arizona trying to run out an infield grounder, and proceeded to tear it again about 10 weeks later. Obviously, this meant that his potential advance through the White Sox system took a big hit. It’s easy to root for the guy, as he grew up a White Sox fan — and has the build most guys can relate to. However, with his rehab, Burger must improve his diet and workout regimen. Scouts were split prior to his injuries as to whether Burger can remain at third base long-term. It’ll be interesting to see how fluid his lateral movement will be upon his return. In the meantime, he should begin the season on a rehab assignment in Arizona, with a possible promotion to Winston-Salem when ready — possibly as early as June. Most fans, including yours truly, believed that drafting Bush in the 33rd round of this year’s MLB Draft was more or less a goodwill gesture, as opposed to believing that he’d actually bypass a scholarship with the Mississippi State Bulldogs. After all, Bush was the second-rated prep prospect in Michigan, third-ranked prep third base prospect in the country, and the 52nd-ranked prep prospect in the nation, according to PerfectGame. However, I can speak for most fans in saying that I’m glad I was wrong! Close to a week after being drafted, Bush signed for $290,000, the equivalent of sixth-round money. Bush dominated in his brief 14-game stint with the AZL White Sox by slashing .442/.538/.605, with one homer, eight RBIs, one stolen base, eight walks (15.4%) and just four strikeouts (7.7%) in 43 at-bats. Bush was promoted to Great Falls on August 3, and while he struggled a bit, he still did relatively well considering he was 2.5 years younger than league average. In 24 games totaling 96 at-bats for the Voyagers, Bush slashed .250/.327/.385 with two homers, 10 RBIs, three stolen bases, 10 walks (9.3%) and 21 strikeouts (19.4%). Combined with both teams for 2018, Bush slashed .309/.396/.453 over 139 at-bats, with three homers, 18 RBIs, four stolen bases, 18 walks (11.3%) and 25 strikeouts (15.6%). Third base was the only position Bush played last year in rookie ball, and in 30 games he committed 12 errors. He has a good arm and has solid speed; his difficulties at the position may be attributable to becoming acclimated to the speed of the game. Even in Arizona and Great Falls, the game is exponentially quicker than it is at the prep level. Bush will turn 19 in December, and at 6´0´´ tall and 200 pounds, he has the projectable build to hit the ball a long way. Eventually, if he doesn’t succeed at third defensively, Bush may end up moving to a corner outfield position or first base. Ideally, he’ll stick at the hot corner since that’s arguably the position with the weakest depth in the Sox system. Bush has tons of charisma, with the intangibles to do what it takes to advance to succeed in professional ball. While my projections are for Bush to begin 2019 with Kannapolis, there will be concern whether or not he will be ready for full-season ball. If the Sox don’t feel he’ll be quite ready, the Sox likely would promote one of Johan Cruz, Micah Coffey, Jimmy Galusky or Travis Moniot instead. But don’t expect any of them to hold Bush off for long. Collins had a decent year at pitching-friendly Birmingham, but still had frustrating issues with contact and defense. For the year, this former first-round pick hit .234/.382/.404 with 15 homers, 68 RBIs, 101 walks and 158 strikeouts over 418 at-bats. He hit .242/.390/.433 against righthanders while hitting just .212/.357/.317 against southpaws, so a future catching platoon with Zavala appears imminent unless the Sox find ways to get them both playing at the same time. A far more interesting split is seeing the damage Collins did with Eloy Jimenez batting behind him, compared with everyone else. In 48 games with Eloy batting directly behind him, Collins hit .291/.391/.503; otherwise, he hit just .198/.339/.340. Thus with proper protection in the lineup, Collins still can be quite a hitter. His defense is still a work in progress, although he did reduce his passed balls a bit. Opponents ran like gangbusters against him, swiping 93 bases in 74 games; Collins did throw out runners 29% of the time. I have him projected to begin the season with Charlotte — perhaps combining with Zavala and/or Mercedes in rotating catcher/DH/1B roles in order to ensure proper playing time for everyone involved. Curbelo began his high school career at the Puerto Rican Baseball Academy, and after performing well on the summer showcase circuit, he moved to Cocoa (Fla.) High as a senior to increase his exposure. At the time of the 2016 MLB Draft, Curbelo was the 33rd-ranked prep prospect in the country, according to PerfectGame. As a result, when he fell to the sixth round, the White Sox pounced and paid him an over-slot bonus of $700,000. In his first two years of professional ball, with the AZL White Sox and Great Falls, Curbelo slashed just .242/.322/.354 with a combined three homers, 16 RBIs, four stolen bases, 16 walks (7.92%) and 46 strikeouts (22.77%) over 178 at-bats. Unfortunately, he missed plenty of development time in 2017 when he tore his meniscus after just three games with Great Falls. When winning a promotion to Kannapolis this year expectations were tempered, with Curbelo coming back from such a serious injury. For the year, he managed to slash .237/.282/.338 with 19 doubles, three homers, 31 RBIs, 18 walks (5.25%) and 87 strikeouts (25.36 K%) over 317 at-bats. Curbelo’s hitting, especially his high number of strikeouts, is certainly disconcerting. Considering he was 1.3 years younger than league average, and he had relatively little professional exposure previously, the struggles were not entirely surprising. Perhaps of more concern may be on defense, where Curbelo committed 14 errors in 57 games at short, while also erring 10 times in 20 games at the hot corner. Curbelo still has the build to hit for more power as he learns to adapt in the minors. Defensively, he needs to keep his focus and keep in front of the ball while trying not to rush things. Offensively, he’ll need to maintain better plate discipline, which often comes with experience. There’s a possibility Curbelo will be promoted to Winston-Salem, in order to be the club’s third baseman until Jake Burger is ready to take the helm; after all, Curbelo is the 27th-ranked prospect in the organization, according to MLB Pipeline. Otherwise, he could be competing for playing time next year at shortstop/third base with Lenyn Sosa and Bryce Bush. Flores spent his first season with USC as a reliever, but he was the Trojans swingman during his sophomore and junior seasons. After a respectable sophomore season, he struggled mightily in his junior year by posting a 6.70 ERA and 1.58 WHIP in 41 2⁄3 innings, allowing 50 hits and 16 walks while striking out 36. Despite the results, the White Sox did their due diligence and drafted him in the seventh round in 2016, signing him to a $200,000 bonus. Flores finished 2016 with the AZL Sox and Great Falls, where he combined to post a nifty 3.46 ERA and 1.22 WHIP in 65 innings, allowing 67 hits (.270 OBA) and just 12 walks (4.5%) while fanning 52 hitters (19.6%). In 2017, Flores pitched a combined 118 1⁄3 innings for both Kannapolis and Winston-Salem, allowing just 116 hits (.257 OBA) and 32 walks (6.5%) while striking out 103 hitters (20.8%). In 2018 with Winston-Salem and Birmingham, Flores combined to produce a 2.65 ERA and 1.19 WHIP over a career-high 156 innings, ceding 154 hits (.261 OBA) and 31 walks (4.9%) while striking out 105 (16.5%). Flores has been the model of consistency, despite the fact that his fastball velocity has dropped as a pro. His repertoire includes an above-average changeup that still needs some refinement (righties hit .285 against him this year), a tight curveball, and an effective cutter. Flores is more pitcher than thrower, and with his ability to minimize walks (1.99 BB/9) and keep the ball down (1.49 GO/AO) he may be the closest thing to Mark Buehrle that the White Sox have in its vaunted system. Though Flores split his time (and results) evenly between Winston-Salem and Birmingham last year, expect a return to Birmingham due to a potential logjam in Charlotte to begin the year. With that said, he should be a candidate for early promotion when an opening arises. As a senior for Custer County H.S. in Miles City, Mont., Frare displayed an upper-80s fastball with an sweeping 2-8 curveball — and a changeup that needed work. When the New York Yankees drafted him in the 11th round in 2012, Frare decided to bypass his commitment to the University of Utah, thanks in part to a $100,000 signing bonus. After a solid campaign with the Yankees rookie league squad, Frare underwent Tommy John surgery, which forced him to miss the 2013 and 2014 campaigns. After a good start for the Low-A Charleston RiverDogs in 2015, Frare was promoted to the High-A team in Tampa, where he struggled in seven outings (5.59 ERA, 2.07 WHIP). The following year, Frare returned to Tampa, where he dominated with an ERA of 0.92 and WHIP of 1.14, while allowing just 33 hits and 23 walks in 49 innings of relief work. While Frare’s control was mediocre to that point in his career, it really tailed off in 2017 for Tampa and Double-A Trenton. Frare struck 78 hitters in 62 2⁄3 combined innings, for a nifty 28.6 K%; however, he walked 52, for an atrocious 19.0 BB%. Despite having a 1.60 WHIP in 2017, his combined ERA was surprisingly low at 4.02 (which likely was the result of a solid bullpen, helping to bail him out). The 2018 season was an entirely different story. In 43 2⁄3 innings for Trenton, Frare enjoyed a 0.62 ERA/0.92 WHIP/33.7 K% by striking out 57 hitters while only allowing 25 hits and 15 walks. This earned him a promotion earlier to Triple-A, where he pitched in just one game before, on July 29, the White Sox acquired Frare for $1.5 million in international pool money; the Yankees traded him primarily due to concerns about their 40-man roster. From July 29 to August 31, Frare compiled an impressive 0.71 ERA and 0.95 WHIP in 11 games spanning 12 2⁄3 innings, as he allowed five hits (.119 OBA) and seven walks (13.7%) while striking out 19 (37.3%). Frare earned his promotion to the White Sox in September — posting a 5.14 ERA and 1.43 WHIP in seven innings (11 games), as he relinquished six hits (.231 OBA) and four walks (12.9%) while fanning nine (29.0%). Frere’s fastball now runs in the low-mid 90s, with tons of movement. Combined with a wipeout slider, he’s certainly got the goods to work in high-leverage situations. Frare also has a sweeping 2-8 curveball with a short break, and a change that he doesn’t throw often. He doesn’t appear to be a LOOGY either, as hitters from both sides of the plate fared poorly against him this year. In fact, those even splits have been consistent throughout his minor league career. The White Sox also have Jace Fry, Aaron Bummer, and Manny Bañuelos as southpaw options entering the year. Nevertheless, there’s a strong possibility that Frare will begin 2019 on the Opening Day roster — especially if he throws strikes in spring training. Gonzalez, a three-year starting outfielder and starting pitcher with New Mexico, enjoyed a terrific junior season with the Lobos. He not only had a 4-3 record in 11 starts, he slashed .361/.500/.589, with 22 doubles, two triples, eight homers, 42 RBIs, 14-of-14 stolen bases, 58 walks (20%) and 32 strikeouts (11.03%). It’s easy to see why the White Sox would draft Gonzalez in the third round in 2017, ultimately signing him to a $517,000 bonus. After being drafted, and after a slow start, Gonzalez combined with Great Falls and Kannapolis to slash .236/.351/.348 in 250 at-bats, with 14 doubles, two triples, two homers, 15 RBIs, 42 walks (14.05%) and 53 strikeouts (17.73%). Although Gonzalez’s plate discipline numbers slipped a bit in 2018, his other numbers showed significant improvement. Spending nearly equal time with Kannapolis and Winston-Salem, he combined to slash .307/.368/.498 in 482 at-bats with 14 homers, 71 RBIs, 10 stolen bases, 48 walks (8.86%) and 103 strikeouts (19.00%). Gonzalez is a fundamentally-sound player who does everything well, if not exceptionally. As evidenced in his collegiate pitching, he has an excellent arm and could well be suited for right or left field, if center is occupied by someone else. He strikes me as a medium-ceiling, high-floor player, and currently ranks 14th among White Sox prospects according to MLB Pipeline. Gonzalez did enough in 2018 to warrant a promotion to Birmingham for 2019. After spending two quality seasons in the bullpen for Washington State, Hamilton encountered some difficulties in the starting rotation during his junior season. In his 15 starts totaling 87 innings for the Cougars, he posted a pedestrian 4.86 ERA and 1.46 WHIP as he surrendered 96 hits (.293 OBA) and 31 walks against 62 strikeouts. Based on his overall stuff, in addition to his bullpen performance during his freshman and sophomore seasons, the White Sox signed him to a $101,800 bonus after selecting him in the 11th round of the 2016 MLB draft. That year, with the AZL Sox and Kannapolis over 32 2⁄3 innings, Hamilton posted a 3.58 ERA and 1.13 WHIP by allowing 22 hits (.196 OBA) and 15 walks (11.6%) while striking out 29 (22.5%). In 2017, Hamilton split his time with Winston-Salem and Birmingham; he did struggle some, however, with the Barons, getting hit for a 5.21 ERA and 1.79 WHIP. For the year, thanks to his exceptional work with the Dash, overall Hamilton posted a 2.64 ERA and 1.05 WHIP in 44 outings (71 2⁄3 innings) — yielding 59 hits (.222 OBA) and just 16 walks (5.6%) while striking out 74 (25.7%). Hamilton split his minors time in 2018 between Birmingham and Charlotte, faring equally well with both squads. In 43 games over 51 2⁄3 combined innings, he compiled a 1.74 ERA and 1.05 WHIP and allowed just 38 hits (.204 OBA) and 16 walks (7.1%) while fanning 62 (30.1%). Hamilton earned his promotion to the White Sox on August 31, and held his own with a 4.50 ERA and 1.00 WHIP over 10 games (eight innings), as he allowed six hits (.207) and two walks (6.1%) while striking out five (15.2%). Hamilton currently ranks 16th among White Sox prospects according to MLB Pipeline. He features a 70-grade, mid-90s fastball that touches 99 and features hard sink. His hard slider can reach 90 mph and is considered a plus pitch. He also offers a legit changeup, as he held AAA lefties to a mere .167 average. Hamilton likely will begin the season in Chicago, barring a major influx of relievers attained via free agency or trade in the offseason. Hansen, a native of Loveland, Colo., had quite an interesting three years with the Oklahoma Sooners. As a reliever, he actually walked more than a batter per inning. His sophomore season was far better, posting a 3.95 ERA and 1.45 WHIP with 44 walks (4.83 BB/9) and 94 strikeouts (10.32 K/9) in his first year in the rotation; there were many scouts who thought he could be the first pick in the 2016 MLB draft if he could limit his walks further due to the amazing stuff he possessed. However, this wasn’t meant to be, as he suffered a 5.40 ERA and 1.61 WHIP in his junior season, allowing 39 walks (6.79 BB/9) in 51 2⁄3 innings while striking out 75 hitters (13.06 K/9); as a result, he was banished to the bullpen late in the season. However, the White Sox saw an opportunity to buy low, and selected him in the second round that year, signing him to a $1.2 million bonus. Hansen pitched for three teams in 2016 (AZL, Great Falls, and Kannapolis) but spent the majority of his time with the Voyagers. What he did in the high altitude of the Pioneer League that year was incredible. In seven starts for Great Falls totaling 36 2⁄3 innings, he posted a tiny 1.23 ERA and 0.65 WHIP, allowing just 12 hits (.102 OBA) and 12 walks (2.95 BB/9) while striking out 59 (14.48 K/9). In 2017, Hansen again pitched for three teams (Kannapolis, Winston-Salem and Birmingham), throwing 141 1⁄3innings over 26 starts, and combined to post a rock-solid 2.80 ERA and 1.17 WHIP; he allowed just 114 hits (.216 OBA) and 51 walks (3.25 BB/9) while striking out a minor league-high 191 (12.16 K/9). Hansen moved into sixth among White Sox prospects (59th overall) according to MLB Pipeline to begin 2018. After a successful two-year run in the Sox organization, what could go wrong? Well, everything. Hansen suffered a forearm injury during spring training, which shut him down until June 16. When he returned to Birmingham, his mechanics were out of whack and his control (and numbers) suffered badly as a result. He still missed bats, as he fanned 35 hitters (8.83 K/9) and allowed just 30 hits (.238 OBA) in 35 2⁄3 innings spanning nine starts; unfortunately, he also walked 42 hitters (10.60 BB/9), which shot his ERA and WHIP up to 6.56 and 2.02, respectively. As a result, Hansen was demoted to Winston-Salem, where his results weren’t much better over five starts (5.74 ERA, 1.98 WHIP, .250 OBA, 9.77 BB/9, 11.49 K/9). By the end of the year, Hansen dropped to 10th on the MLB Pipeline White Sox prospect list. With someone as large as Hansen, mechanics will always be a concern. He has a 96-99 mph fastball with a significant downhill plane and running action, 12-6 curveball, power slider, and improving changeup that was actually more effective in AA ball than it was for Winston-Salem. Hansen is a classic high-ceiling, low-floor pitcher thanks to his command. When throwing strikes like he did in 2016 and 2017 in the White Sox organization, he’s basically unhittable. If not throwing strikes, he really wouldn’t be suitable for even a bullpen role — certainly not when he’s walking more than a hitter per inning. Hansen is taking time off this offseason to help improve his mental focus and avoid any damage to his elbow. This year will be absolutely huge for him — if he returns to form, he could find himself pitching in Charlotte by the end of the year. But for now, Hansen likely will begin next season with Winston-Salem. With the exception of two starts in his freshman season, Henzman was exclusively a reliever for the Louisville Cardinals. His best season was as a junior, when he pitched in 27 games (saving 16) totaling 37 2⁄3 innings with a terrific 1.67 ERA and 0.85 WHIP — allowing just 22 hits (.169 OBA) and 10 walks (2.39 BB/9), striking out 37 (8.84 K/9). With those results, the White Sox drafted Henzman in the fourth round of the 2017 MLB draft, with the intention of converting him into a starter. After receiving a signing bonus of $450,000, Henzman pitched for the AZL Sox and Great Falls. In 11 combined outings (seven starts), he maintained a respectable 3.86 ERA and 1.29 WHIP over 28 innings, allowing 27 hits (.262 OBA) and nine walks (2.89 BB/9) while striking out 17 (5.46 K/9). Henzman went deeper into games in 2018 for Kannapolis, starting 13 and pitching 72 2⁄3 innings, with better-than-expected results. For the Intimidators, Henzman posted a 2.23 ERA and 1.05 WHIP, and allowed just 68 hits (.241 OBA) and eight walks (0.99 BB/9) while striking out 60 hitters (7.43 K/9). He was promoted to Winston-Salem on June 21, but was held to pitch counts as Henzman had already far exceeded his career high in innings. In 14 outings totaling 34 2⁄3 innings for the Dash, he posted a 2.60 ERA and 1.27 WHIP, ceding 34 hits (.256 OBA) and 10 walks (2.60 BB/9) while striking out 20 (5.19 K/9). It appears the White Sox made the right move in moving him to the rotation, as his walk and strikeout rates were far better when he was pitching more innings per game. Henzman features a heavy sinking fastball that runs anywhere from 90-95 mph, and has produced an incredible 2.05 GO/AO rate in his first two seasons in the Sox organization. He throws an upper-80s cutter, while also throwing an above-average changeup which limited lefties to a .245 OBA, bettering his .249 OBA against righties. While Henzman has good stuff, he’s more about command and control, and is now ranked 30th among White Sox prospects according to MLB Pipeline. Expect Henzman to return to Winston-Salem to begin next year, with an opportunity for promotion to Birmingham later in the year. Johnson spent nearly all three of his seasons in the bullpen for South Carolina, with terrific results. As a sophomore in 29 games totaling 52 innings, Johnson saved nine games for the Gamecocks with a 2.42 ERA and 0.81 WHIP, allowing 34 hits and just eight walks while striking out 59. The following year, he posted a 2.39 ERA and 1.33 WHIP along with 10 saves; in his 19 games totaling 26 innings, he relinquished 20 hits and 15 walks while striking out 40. Due to Johnson’s decrease in control during that junior season, his stock dropped a bit — and when Johnson fell to the fifth round of the 2017 MLB draft, the White Sox were ecstatic, picking him at No. 147 overall. Johnson struggled a bit after the draft with Great Falls and Kannapolis, as he posted a combined 3.86 ERA and 1.75 WHIP over 25 2⁄3 innings, allowing 26 hits (.263 OBA) and 19 walks (15.7%) while fanning 37 hitters (30.6%). He returned to Kannapolis to begin the 2018 season, and embarrassed South Atlantic League hitters by posting a 1.33 ERA and 0.96 WHIP over 27 innings, allowing just 16 hits (.170 OBA) and 10 walks (9.3%) while striking out 46 (42.6%). Johnson fared even better after winning a promotion to Winston-Salem. In his 21 games for the Dash totaling 31 innings, he posted a 1.45 ERA and 0.81 WHIP — surrendering just 19 hits (.174 OBA) and six walks (5.1%) while fanning 43 (36.4%). Overall in 2018, Johnson compiled a 1.40 ERA, 0.88 WHIP, .172 OBA, 7.1 BB% and 39.4 K%. Of all the outstanding relievers in the White Sox system, Johnson had arguably the best year. Johnson now ranks No. 24 among White Sox prospects according to MLB Pipeline, though that ranking will likely rise entering the 2019 season. His fastball generally runs from the mid-to-upper 90s, peaking at triple digits, and is complemented by an above-average, low 80s slider. Johnson’s third pitch is a changeup that still needs work, although he did hold lefties to a respectable .230 average in 2018. Johnson’s whole key is control and command; when on, like it was in his sophomore season at South Carolina or last year in the minors, he’s basically unhittable. If Johnson’s command drops off, he simply won’t be as dominant and becomes far more hittable. Expect Johnson to begin next season with Birmingham, with an opportunity for promotion to Charlotte before the end of the year. Lambert, brother of top Colorado Rockies prospect Peter Lambert, improved in each of this three years with the Fresno State Bulldogs. In 15 starts in his junior season totaling 97 2⁄3 innings, he posted a 3.13 ERA, 1.20 WHIP. In those innings, he allowed 98 hits (.280 OBA) and 19 free passes (1.75 BB/9) while striking out 78 (7.19 K/9). With his control and solid four-pitch repertoire, the White Sox drafted him in the fifth round in 2016, signing him to a $325,000 bonus. Lambert struggled with the AZL Sox and Kannapolis in 2016, perhaps because he was battling some fatigue. That year in 37 2⁄3 innings, he posted a high 5.26 ERA and 1.51 WHIP; he relinquished 44 hits (.288 OBA) and 13 walks (3.11 BB/9) but stuck out 43 batters (10.27 K/9). In 2017, returning to Kannapolis, Lambert excelled with a 2.19 ERA and 1.19 WHIP; however, he struggled at Winston-Salem, with a 5.45 ERA and 1.51 WHIP. Combined with both teams last year in 150 innings, Lambert posted a 3.84 ERA and 1.35 WHIP — allowing 163 hits (.282 OBA) and 40 walks (2.40 BB/9) while striking out just 102 (6.12 K/9) overall. In 2018, Lambert put it all together, and was much tougher to hit. In 18 starts with Winston-Salem and Birmingham covering 95 2⁄3 innings, Lambert posted a 3.67 ERA and 1.09 WHIP in allowing 77 hits (.222 OBA), walking 27 (2.54 BB/9), and striking out 110 (10.35 K/9). Unfortunately, Lambert’s last game was in late July, as he suffered a strained left oblique. It’s possible he could’ve returned in late August, but the Sox opted not to take any chances. Lambert’s velocity improved this year, as he transitioned from a two-seamer to a four-seamer that peaks at 96 mph. Lambert also also throws an above-average slider and curveball. His changeup is consistent; he held lefties well at Winston-Salem but he had a .321 OBA against them in a short sample size in Birmingham. Lambert currently ranks 21st among White Sox prospects according to MLB Pipeline, and is expected to return to Birmingham next year, since he only had five starts for the Barons in 2018. When Medeiros finished his senior season with Waiakea H.S. (Hilo, Hawaii) with a 1.12 ERA, .178 OBA, and 16.7 K/9, PerfectGame ranked him as the sixth best prep prospect available in the 2014 MLB draft. Thus, it was no surprise when the Milwaukee Brewers selected him with their first round pick (12th overall). After receiving a $2.5 million signing bonus, Medeiros struggled with the AZL Brewers to the tune of a 7.13 ERA and 2.09 WHIP. The following year, Medeiros bounced back somewhat with the Brewers’ A-affiliate Wisconsin, where he posted a 4.44 ERA and 1.28 WHIP in 93 1⁄3 innings, allowing 79 hits (.228 OBA) and 40 walks (10.0%) and striking out 94 (23.5%). However, he slid back in 2016 and 2017 for the Brewers’ A+ affiliates in Brevard County and Carolina, where in a combined 213 1⁄3 innings, Medeiros posted a 5.36 ERA, 1.56 WHIP, .266 OBA, 11.9 BB%, and 19.9 K%. In 20 outings (15 starts) for AA Biloxi in 2018, Medeiros was enjoying his best minor league season to date — a 3.14 ERA and 1.31 WHIP over 103 1⁄3 innings, allowing just 90 hits (.234 OBA) and 45 walks (10.1%) while striking out 107 (24.0%). On July 26, Medeiros was traded along with right-handed pitcher Wilber Perez to the White Sox for closer Joakim Soria. After the trade, Medeiros struggled a bit in seven starts totaling 34 1⁄3 innings, posting a 4.98 ERA and 1.54 WHIP while allowing 31 hits (.250 OBA), 22 walks (14.5%) and 34 strikeouts (22.4%). His control has been totally underwhelming: His career walk percentage in his four years of professional baseball is 11.4. With that said, expect Medeiros to return to the Birmingham rotation to begin 2019. It seems like Nuñez has been in the White Sox organization for a long time, though he is just 20. He signed for $900,000 from the Dominican Republic as the headliner of a 2014 international signing class that also included Jhoandro Alfaro, Ricky Mota and Felix Mercedes. At the time of his signing, MiLB.com rated his tools as follows: Hit 55, Power 55, Run 55, Arm 50, Field 50. Signed initially as a shortstop, Nuñez has played all four infield positions in the White Sox organization, with 2018 primarily spent at second. Nuñez had an injury-riddled 2015, struggling with the AZL White Sox to the tune of .145/.207/.158. He appeared to turn things around in 2016 with a slash line of .287/.320/.370, while swiping a career-high nine bases. However, he struggled badly in 2017 upon being promoted to Great Falls, as he hit just .183/.247/.246 in the higher altitude. On the positive side, Nuñez did lower his strikeout percentage to a career-best 18.9, while increasing his walk percentage to another best, 7.79. This year, upon returning to the Voyagers, Nuñez was in a different stratosphere. He hit .357/.394/.568, with 21 doubles, six homers, 52 RBIs, 15 walks and 71 strikeouts — easily eclipsing his career numbers in every significant stat. His walk and strikeouts surprisingly declined (5.8% and 27.4% respectively), but Nuñez has got plenty of time to improve. Nuñez is not a significant stolen base threat (14 in his four-year career), but the biggest concern with him has clearly been his defense. In just fewer than 170 career games in the minors, he’s committed 74 errors. In 2018 alone, Nuñez suffered 17 miscues in 46 games at second base and three mishaps in just eight games at first; similar error rates have transpired during his time at the hot corner and shortstop earlier in his career. If Nuñez can keep errors to a minimum while continuing to rake, he may have quite a future with the White Sox. Otherwise, his ceiling will be as an offensive-minded utility infielder. Nuñez should be a no-brainer to begin 2019 with Kannapolis. Pilkington had been considered one of the top collegiate southpaws in the country, since the beginning of his playing days with Mississippi State. After his solid sophomore season and terrific runs in the Cape Cod League and Team USA in 2017, Pilkington’s star couldn’t have shone brighter. In that sophomore season, he posted a 3.08 ERA and 1.14 WHIP in 108 innings, allowing just 76 hits (.199 OBA) and 47 walks compared to 111 strikeouts. However, in 2018 with the Bulldogs, Pilkington compiled a 4.47 ERA and 1.35 WHIP over 102 2⁄3innings, as he allowed 106 hits (2.69 OBA) and 33 walks compared to 107 strikeouts. As a result of his junior slump, which saw him slip from 96 to 92 mph on the radar gun, he fell to the third round of the draft, where the White Sox were happy to snap him up with a $650,000 signing bonus. Pilkington struggled during his eight starts with AZL and Great Falls after signing. In a small sample size totaling 14 innings, he surrendered 21 hits (.344 OBA), five walks (7.4%) and 11 strikeouts (16.2%) while posting a 7.07 ERA and 1.86 WHIP. According to MLB Pipeline, Pilkington’s delivery got off-line for much of the time this season, which caused a decline in velocity. He worked mostly at 88-91 mph and topped out at 93 this spring, but he has reached 96 mph in the past and still succeeds at lower velocities because his size and high three-quarters arm slot create a steep downhill plane. He has good feel for his advanced change, and also uses a slider that can get slurvy at times. MLB Pipeline currently ranks Pilkington 19th among White Sox prospects, and he should begin next season in pitcher-friendly Kannapolis. Puckett is an interesting story. He was a promising two-sport athlete in high school before a car accident left him in a medically-induced coma for two weeks to slow his blood loss. After that accident, he made a a full recovery and went to Pepperdine, where he was the West Coast Conference pitcher of the year in 2016 after fashioning the third-longest scoreless streak (45 2⁄3 innings) in NCAA Division I history. All Puckett did in his junior season was pitch 99 innings over 14 starts, posting an incredible 1.27 ERA and 0.92 WHIP; he allowed just 65 hits and 26 walks (2.36 BB/9) while fanning 95 batters (8.61 K/9). As a result of his efforts, the Kansas City Royals selected him in the second round of the 2016 MLB draft, signing him to a $1.2 million bonus. For the AZL Royals and Lexington (Royals A-affiliate) immediately after the draft, Puckett held his own in 13 starts, with a combined 3.68 ERA and 1.11 WHIP and respectable .231 OBA and 2.30 BB/9, but his strikeouts were down (6.90 K/9). For the Royals A+ team (Wilmington) in 2017, he posted a 3.90 ERA and 1.41 WHIP through July 30 before being traded to the White Sox for outfielder Melky Cabrera. Puckett struggled a bit at hitter-friendly Winston-Salem in his five starts, as he posted a 4.28 ERA and 1.46 WHIP over 27 1⁄3 innings. In those innings, Puckett surrendered 35 hits (.327 OBA) and five walks (1.65 BB/9) while striking out 21 (6.91 K/9). Puckett began 2018 season as the 23rd-ranked prospect in the White Sox system according to MLB Pipeline, and was slated to move up to Double-A Birmingham. However, due to an ailing elbow, Puckett missed the entire season (just like Andre Davis, the other player acquired in the Cabrera deal). Puckett, like fellow prospect Spencer Adams, is more about pitchability than power. His best assets are his tumbling changeup, a legitimate plus pitch, and his advanced command. His fastball usually ranges from 90-94 mph with some run and sink, and his curveball can be an average third offering at times, but lacks consistency. As of now, expect Puckett to be a part of Birmingham’s rotation, but because little information has been made available regarding his injury, it’s unknown if Puckett will actually begin the season in April. Rivera played for three different schools in his four-year college career: the University of Miami, Chipola JC (2015), and the Division II University of Tampa (2016-17). One thing is clear: The Miami resident excelled wherever he played. During that time, Rivera combined to slash .386/.442/.546 with 15 homers, 124 RBIs, 25 stolen bases, 40 walks (5.63%) and 66 strikeouts (9.28%) in 624 at-bats. After a typically successful season as a senior, Rivera wasn’t picked until the 28th round of the 2017 MLB draft. His first assignment with the White Sox, upon receiving his $1,000 signing bonus, was with the AZL White Sox, and he didn’t disappoint. In 47 games (186 at-bats), Rivera slashed .296/.374/.446 with 12 doubles, five triples, two homers, 24 RBIs, eight walks (3.76%) and 26 strikeouts (12.21%). Of course, his 2017 success was taken with a grain of salt because Rivera was more than two years older than league average. Rivera emerged as a true prospect in 2018 with Kannapolis, after slashing .346/.395/.502 in 237 at-bats with 15 doubles, two triples, six homers, 24 RBIs, seven stolen bases, six walks (2.26%) and 48 strikeouts (18.11%). After earning a promotion to Winston-Salem on July 21, Rivera held his own in 225 at-bats by slashing .280/325/.458 with 15 doubles, two triples, seven homers, 37 RBIs, 10 homers, seven walks (2.81%) and 44 strikeouts (17.67%). Thus, though his average dipped a bit in Winston-Salem, Rivera improved his power while marginally improving his walks and whiffs. Rivera shot up the prospect charts last year and now ranks 28th among Sox prospects according to MLB Pipeline. He’s given 50 grades in all categories except power, which earns a fairly low grade of 40. Rivera is an average defensive shortstop who committed 19 errors last year. I project Rivera to begin the 2019 season with the Birmingham Barons; how he’ll do in that difficult hitting environment will determine whether he’s best suited for a starting or utility role going forward. After a terrific junior season with Wake Forest (in which he hit .317/.424/.629, with 21 homers, 84 RBIs, 46 walks and just 37 strikeouts), the son of former Baltimore Oriole outfielder Larry Sheets was drafted in the second round by the White Sox in last year’s MLB Draft. With the AZL White Sox and Kannapolis last year, he combined to hit .279/.365/.397, with four homers, 28 RBIs, 23 walks (9.8%) and 34 strikeouts (14.4%) in 204 at-bats. While the numbers were unexceptional, they were still respectable considering the fatigue he may have been playing through after the long collegiate season. However, while Sheets continued to maintain his rock-solid plate discipline, his game power still didn’t feature prominently in 2018, despite playing in hitting-friendly Winston-Salem. In 437 at-bats for the Dash, he hit .293/.368/.407, with six homers, 61 RBIs, 52 walks (10.5%) and 87 strikeouts (16.3%). While the game power still has yet to show, Sheets easily has put up the best numbers at first base in the upper levels of the system. In 641 at-bats (basically the equivalent of a full major league season) over two years in the White Sox system, Sheets has hit .289/.367/.404 with 40 doubles, 10 homers, 85 RBIs, 75 walks (10.3%) and 115 strikeouts (15.7%). Sheets hit .280 against southpaws and .296 against righties last year, so a platoon situation doesn’t appear imminent. Of course, it’d be nice to see him start hitting some dingers, as his career ISO is only .115 thus far. Perhaps some of those doubles can evolve into homers? Aside from his power, all other parts of his game has been above average, aside from his grade-35 speed. However, as a second round pick at a power position, it’s hoped that Sheets could begin turning on the ball and start hitting homers at a 25-30 yearly clip going forward. He’s certainly got the projectionable build and relative youth to make that happen. Expect Sheets to start at first base in what looks to be a quite powerful Birmingham Barons squad for 2019. Stephens, a native of Alvin, Texas, played college ball for the nearby Rice Owls. He was considered by many scouts at the time of his junior season to be a possible third-round pick. However, three starts into that season, Stephens was injured and required Tommy John surgery, missing the remainder of the season. Thus, Stephens returned to Rice for his senior season and pitched surprisingly well: 3.17 ERA and 1.14 WHIP over 59 2⁄3 innings, allowing just 51 hits and 17 walks (2.56 BB/9) while striking out 75 (11.31 K/9). Due to his competitiveness and the results he posted during his four-year stint with Rice, Stephens was selected in the fifth round of the 2015 MLB draft — ultimately receiving a signing bonus of $300,000. Stephens’ results had been solid from 2015-17, moving through the White Sox system quite rapidly while striking out more than one batter per inning and maintaining solid peripheral numbers in the process. He missed the first two months of 2017 with forearm tendinitis but still pitched effectively, with a 3.14 ERA and 1.30 WHIP over 91 2⁄3 innings, allowing 84 hits (.249 OBA) and 35 walks (3.44 BB/9) while striking out 83 (8.15 K/9). In 2018, after a return to Birmingham for seven blistering starts, Stephens was promoted to Charlotte, where he struggled a bit. For the Knights in 21 starts (107 innings), Stephens posted a 4.71 ERA and 1.46 WHIP — allowing 114 hits (.271 OBA) and 42 walks (3.53 BB/9) while striking out 99 (8.33 K/9). Lefties hit .296 against his offerings at AAA, while righties hit just .242, and a similar differential occurred with Birmingham as well. Stephens’ top pitch is an excellent, upper-70s curveball with good depth. While his fastball isn’t overpowering, the low-90s velocity is still effective because of the way he hides and locates it. He also has a cutter and changeup, which still need work due to his lack of results against lefties. Because of issues Stephens has had staying healthy both in the college and professional levels, and due to his relatively small size and bulldog mentality, a switch to the bullpen may eventually be in order. At this moment, unless the White Sox acquire additional starters via trade or free agency, Stephens will be competing against the likes of Dylan Covey, Manny Banuelos, Spencer Adams and Jordan Guerrero in spring training for back-end spots in the rotation. The fact that the White Sox chose to add him to the 40-man roster this month, over the likes of both Adams and Guerrero, indicates he has the inside track on a rotation spot in 2019. After a great freshman season for the Indiana Hoosiers as a reliever, Stiever was converted to a starter for his sophomore and junior seasons. In his three years overall, he attained a 3.56 ERA and 1.21 WHIP over 217 2⁄3 innings with a .264 OBA, 1.90 BB/9 and 7.61 K/9. His junior season was the best overall, as he worked 100 innings with a .250 OBA, 2.87 BB% and 8.70 K%. 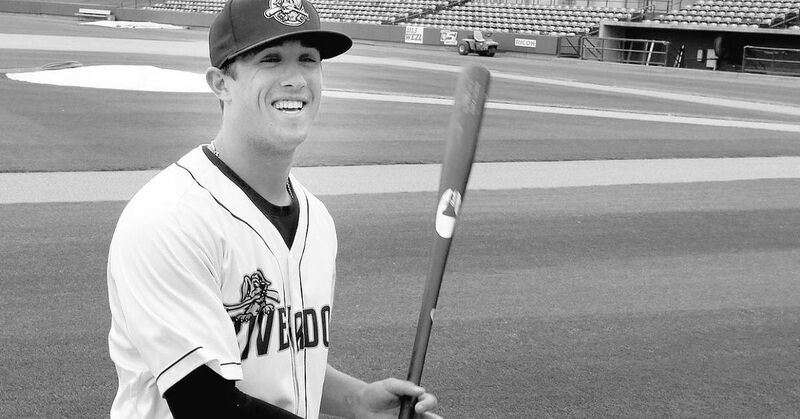 As a result of his success, Stiever was drafted in the fifth round of the 2018 MLB draft by the White Sox and received a $386,800 at-slot bonus. Because Stiever had already attained a career high in innings with the Hoosiers, his innings were severely limited at Great Falls. In 13 starts totaling 28 frames, he maintained a 4.18 ERA and 1.14 WHIP despite working in a difficult pitching environment. In those 28 innings, Stiever ceded only 23 hits (.223 OBA) and walked just nine (2.89 BB/9) while striking out 39 (12.54 K/9). His fastball typically runs from the low 90s to 96 mph, but has good running and sinking action. Stiever has an upper-70s spike curveball which also features slider action, and an above-average changeup, which helped limit lefties to an OBA of .250. Stiever currenly ranks 29th among White Sox prospects according to MLB Pipeline, so expect him to begin next season with Kannapolis. Walker improved during each of this three seasons with the Oklahoma Sooners: his slash line was .290/.352/.414 in his first season, .333/.413/.541 for his second, and .352/.441/.606 to wind up his career. In his senior season, Walker also hit 14 doubles, one triple, 13 homers, and 53 RBIs, and had 31 walks (12.20%) and 48 strikeouts (18.90%) over 216 at-bats. Walker was projected to be a borderline first-round pick, so when he fell to the fourth pick in the second round, the Sox happily selected him and inked him to an over-slot, $2 million signing bonus. Sooner (pun intended) or later, you knew with the year the White Sox had, Walker was doomed to have an injury. In his case, a strained oblique muscle caused Walker to miss some time, and may have hampered his overall results for 2018. For the season (split among the AZL Sox, Great Falls Voyagers and Kannapolis), he managed to slash just .209/.271/.342 in 158 at-bats, with a combined six doubles, five homers, 21 RBIs, six stolen bases, 10 walks (5.65%) and 37 strikeouts (20.90%). Walker ranks 12th among White Sox prospects according to MLB Pipeline. He’s considered slightly above average in all tools, with the exception of his arm, which is a bit below average. He’s an exciting player, and is quite excitable himself when giving interviews. Expect him to return to Kannapolis to begin 2019 because of last year’s struggles, but if he gets off to a good start, don’t be surprised to see him promoted to Winston-Salem before the end of May. Zavala had a fairly uneven year with Birmingham and Charlotte. He started off really well with the Barons, hitting .315/.411/.616 in April, with six homers and 19 RBI in just 73 at-bats. However, because of a nagging wrist injury that sapped his production the rest of the year, Zavala’s results were relatively pedestrian afterward. With that said, he did earn a promotion to Charlotte in June due to a combination of his hitting abilities and improved defensive prowess. He hit .271/.358/.472 with 11 homers, 31 RBIs, 27 walks and 65 strikeouts in 199 at-bats with Birmingham; for Charlotte, he hit .243/.267/.359 with two homers, 20 RBIs, six walks and 44 strikeouts in 181 at-bats. With improved health, Zavala’s numbers should see an increase in hitting-friendly Charlotte. The White Sox will have to protect him in the 40-man roster in order to avoid losing him in the Rule 5 Draft. Providing they hold on to Zavala, he should spent time with Zack Collins behind the plate at Charlotte, but should get plenty of at-bats at first base and/or DH as well. Zavala threw out 32.7% of attempted base stealers in 2018.